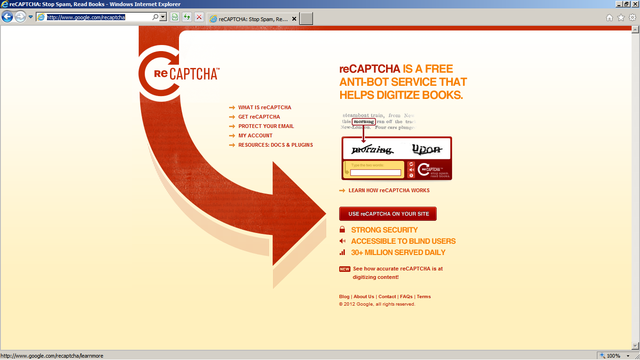 A CAPTCHA is a type of challenge-response test used in computing as an attempt to ensure that the response is generated by a person. The process usually involves a computer asking a user to complete a simple test which the computer is able to grade. These tests are designed to be easy for a computer to generate, but difficult for a computer to solve, so that if a correct solution is received, it can be presumed to have been entered by a human. A common type of CAPTCHA requires the user to type letters or digits from a distorted image that appears on the screen, and such tests are commonly used to prevent unwanted internet bots from accessing websites.